Let?s step back in time. Back to the year 2000, when scientist was absolutely wrong about the Y2K bug (probably biggest No Five in history? ?let me get that neck!) The year 2000 was a beginning of the new decade and a new whole music scene was about to rise. It was early this decade when I remember listening to the radio and many songs were repeated over and over again like there was a lack of artist that z100 (NYC #1 Music Station) started to play reruns of old songs from 1998 and beyond. At this time I was in middle school and I recalled the must have albums ?if you were cool? to own were Eminem?s Marshall Matter LP, Nelly?s Country Grammer, Dr. Dre?s Chronic 2001, Kid Rock?s Devil Without a Cause, DMX?s And Then There Was X, Sisqo?s Thong Thong Thong album, Unleash the Dragon and finally the main event Limp Bizkit?s Chocolate Star Fish and the Hot Dog Flavored Water (that?s a mouth full). God forbid if you were a guy and had gotten and picked up the Britney Spears? Oops?I Did it Again, Nsync?s No String Attached, or Backstreet Boy?s Black & Blue. It was OK though if you listened to them through the radio, because no one could escape those big artist of the era. Honorable and neutral mentions are Destiny?s Child, Creed and Santana albums. For the young?ns this was the era when the digital age of music was just starting so you actually had to go to your nearest music store, mine was the decease store Coconuts, and actually had to buy the plastic case with the CD, though I did pirated Nelly?s Country Grammer on Napster (the good old days). This article is about the return of Limp Bizkit. Yup! 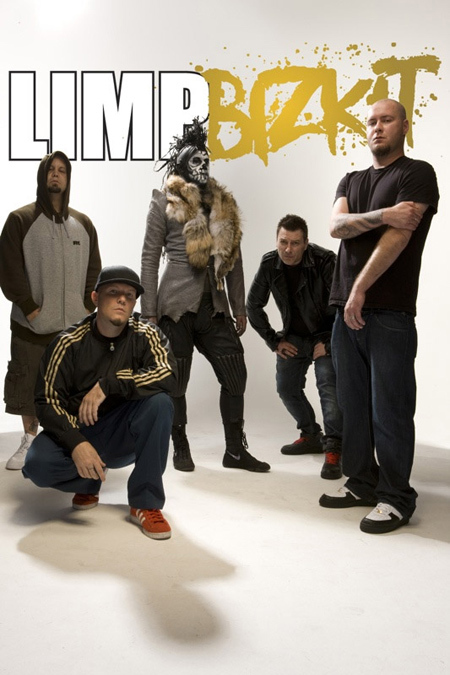 Limp Bizkit is back snitches, if there are still Limp Bizkit fans out there. Their last album was Result?s May Vary (2003) which sucked balls. Sure they had a good single or two but first and foremost they were too soft in that album. I wanted the Limp Bizkit of the Chocolate Starfish days; the album along with Eminem my parents hated me listening to; the album full of profanity and metal and rap; the album you would get grounded for if your parents found out, the album that was in your throwback CD player that needed two Double A batteries that you would use to listen on the bus; the album that had songs featured in many movies; the album that propelled Nu-metal; the album that you rocked out too; the album that influenced my generations era. It was the Chocolate Starfish that altered the balance of music in the new decade attracting people away from the usual popular hip-hop / rap genre of 2000. Some may not feel the way I do of Limp Bizkit but I am actually excited for the release of their new album Gold Cobra. In my opinion, this album is officially the sequel to Chocolate Starfish and not the album Result?s May Vary. This album has the whole crew back together which in the last album they were missing a few band members. Fred Durst goes back to his rapping way and the metal is back. But will the intensity be there like the Chocolate Starfish? I don?t know. I?m not even sure if this album will be success and be adopted by the young society as it did back 2000. Damn it?s been a decade already! Fred Durst is turning 40 but that won?t slow him down. All I have listened to from Gold Cobra is the song teasers (?Shark Attack?) posted on Youtube, which I should say those songs does sound like the classic Limp Bizkit along with collaboration with rapper artist. Limp Bizkit has not announced an official date for the release of Gold Cobra but it is definite that it will be released sometime this year! As always keep a look out! Yay for Gold Cobra, Limp Bizkit is back! Hopefully? ?.